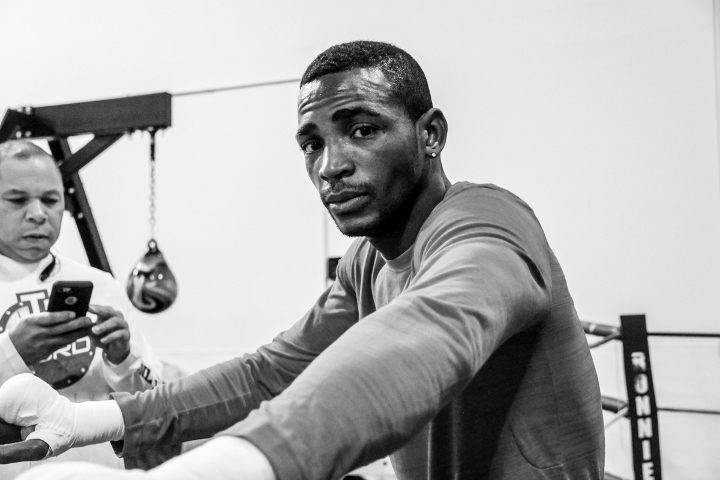 Erislandy Lara: Beyond Gausha - I Want GGG, Canelo, Cotto, Hurd! WBA Super Welterweight World Champion Erislandy "The American Dream" Lara will defend his belt for the fifth time, and the first against an unbeaten opponent, when he battles 2012 U.S. Olympian Terrell Gausha in the headlining fight of a SHOWTIME CHAMPIONSHIP BOXING tripleheader on Saturday, October 14 from Barclays Center, the home of BROOKLYN BOXING®. "Training camp is going smooth as always. A lot of hard work has been put into the camp. As far as the hurricanes, it flooded bad in the areas close to our gym, but we were only gone for a couple of days. The roads to the gym were flooded, so we couldn't go to the gym on those days. I just want to say I'm praying for all those affected by the hurricanes in Houston, Miami and Puerto Rico." "Gausha is a very good fighter. I know he was an Olympian and is currently undefeated as a professional. There's nothing he does that I haven't already seen. So, I'm just going to stick to my game plan and listen to my corner. If I stay composed I will be able to put on the performance I'm looking for." "It's a great honor, especially since I'm in the main event. It shows I'm the top fighter in the division. Getting the win by all means necessary will be my statement. If I get the knockout, it will be icing on the cake as the say here in the U.S."
Q. What do you think is the significance of you being the longest-reigning 154-pound champion? If you're able to win on October 14 what fights in the division do you want to make in the future? "It means a lot. I have a goal to break the record, held by Gianfranco Ross, for most title defenses at 11. But I'll always be ready to fight anyone they put in front of me. I want big challenges so I would love to fight with GGG or Canelo, and I would also jump at the chance to unify against Cotto or Hurd." He was ordered to negotiate with Andrade's team in September. All the while he was looking for other fights behind everyone's back while Andrade's team was waiting. He essentially ducked Andrade. Is this idiot a champion?? How boring. He is also a tritor to his country , he wants to help the people of Houston, Puerto Rico, Miami buut not Cuba.